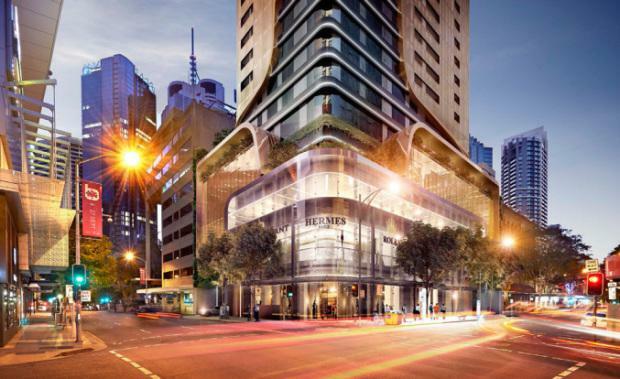 Brisbane-based Aria Property Group has submitted a DA for an 80 storey residential tower on Edward Street. The RotheLowman designed building would cover 155, 159 and 161 Edward Street and 211 Elizabeth Street with a combined area of 1,526 sqm. The sites are currently occupied by a number of 2-storey retail buildings including Hermes, Ermenegildo Zegna, The Hour Glass, MaxMara, and Mont Blanc.